Atlas Roof Lanterns offer a stunning range comprising of contemporary flat roof lanterns and traditional roof lanterns. These attractive focal-point flat roof lanterns, also known as rooflights or lantern roof lights, let around three times more daylight into a room than classic vertical windows, making them fantastic for flat roof extensions. Transform dark spaces with a flat roof lantern and you’ll find that it really opens up a room. It will quickly become a family favourite. Glass roof lanterns let in light whilst providing UV protection for the furniture, and the residents, underneath the window. There are traditional roof lanterns and contemporary roof lanterns so you can pick a finish that suits both the inside and the outside of your home. 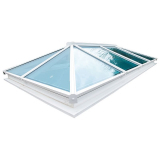 Flat roof lanterns here at Roofing Superstore come from manufacturer Atlas Roof Lanterns. Atlas is one of the most respected, well-known and trusted brands in the window industry as their lanterns are renowned for being high quality and easy to install. They’re designed with a slim profile so there’s minimal visible bar.  This increases window pane space and reduces shadows on the ground too. 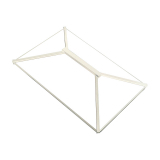 From Atlas Roof Lanterns you can order custom-size flat roof lanterns all with sleek and clean lines to suit any kind of build. Not only do Atlas Roof Lanterns and Atlas rooflights look stunning but they are independently tested too to meet BBA certification. Note: Window sill not included.